We are one of the most acclaimed and reliable busduct manufacturers in India offer superior range of busducts like sandwich busduct, electrical bus duct to our clients at very affordable prices. 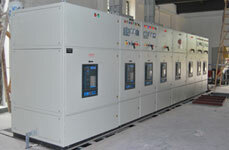 Electrical busduct is effective to supply constant electricity that is critical requirement for all industrial areas. They are generally made up of either copper or aluminum material that has excellent properties to fight against dust accumulation and rust. 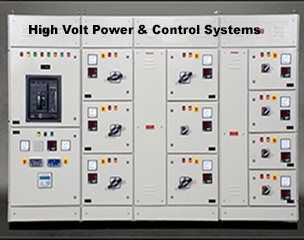 High Volt India could become one of India’s most prominent Buduct manufacturers, due to the quality analysis that we follow all through our manufacturing process. Almost each and every client firm that has chosen to use our make busducts has come back to us with positive feedback and the quality analysis that we initiate after every step in the busduct manufacturing process has pushed our growth trajectory to the higher end. 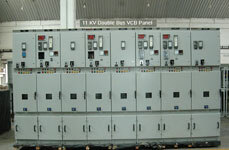 1) Busducts help in cleanly distributing power to switchgears and other numerous loads. 2) Busducts that we manufacture in our in-house eminent workshop are extremely reliable and inimitable. 3) High Volt India has proven its caliber in producing high standard bus bar and as leading busduct manufacturers india, we have made it big in the power support arena. We always manufacture our busduct by following strict quality guidelines and standards that makes us most reputed busduct manufacturers across India. Our strict quality analysis and repeated quality checks makes our product suitable for wide industry projects. Further, our intense Busduct manufacturing process is always completed by sophisticated tools and technologies in our wide manufacturing units. Our busduct are manufactured in such way that they are highly suitable for indoor and outdoor installations under high temperature and pressure conditions. Our continuous research and dedicated workforce help us to deliver most durable product range as per our client needs and demands. With our impeccable range of products, we are able to satisfy large customer based worldwide. 1) We at Highvolt India are popular as a modular and electrical Busduct manufacturers, most reliable and well tested electrical Busduct as per IEC standards and norms. 2) Our busduct is well coated with insulation material to enable them work as heat sink. 3) Electrical busduct is generally available in copper and aluminum material to protect them from rust. 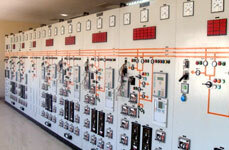 4) Our products are manufactured in such way that they are suitable for wide industrial applications. 5) The common specifications that we use during manufacturing of Electrical Busduct are flat bus, MS enclosure, and Bus bar market with “C” channel. 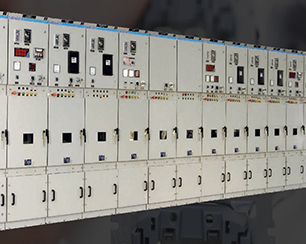 We are best known for customizing client-specific requirements and our products like Generator Control Panels, Relay Control Panel and VCB Panels are inexplicable and unmatchable. 1) We have used Copper coating for the conductor of busduct that be PVC insulated and bounded completely for guard against mechanical damage and dust accumulation. 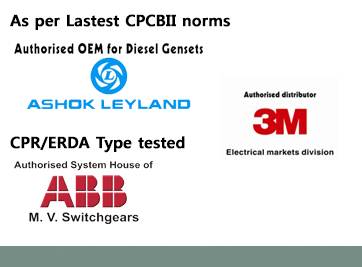 2) Busduct Voltage standard ratings are coming 23.5, 29.5 and 35.5kV with corresponding BIL ratings of 115, 145 and 150kV for direct connections. 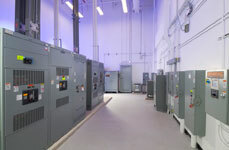 3) Buducts help in effective supply of electricity, especially used in industrial areas. 4) Busduct come with copper or aluminum that works as conductor which battle against any fair possibility of mechanical flaws or accumulation of dust.